With President's Day just around the corner, national park visitors might be surprised to learn that we've had a president who did a stint as a ranger at Yellowstone. Gerald Ford was 23 when he was stationed at Yellowstone, where one of his duties was protecting other park rangers who fed bears at the bear-feeding truck, a popular visitor attraction at the time. And of course many presidents have visited national parks during their terms, but Ronald Reagan apparently visited Death Valley — before it became a park — as part of his stint as the host of Death Valley Days, a popular broadcast series at the time. The series was sponsored by Sponsored by 20 Mule Team Borax – which was appropriate because the discovery of borax was pivotal in the history of the region. 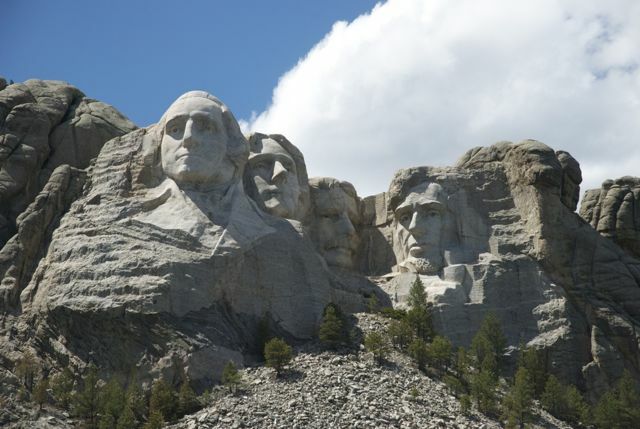 We have more fun facts about presidents courtesy Xanterra Parks & Resorts, which runs facilities in many of the country's flagship parks, including Crater Lake, Rocky Mountain National Park and the Grand Canyon. According to Xanterra, presidents have created national parks, had lodges and parks named after them and used them for high-level meetings with international leaders. On August 5, 1934 President Franklin Delano Roosevelt delivered his radio address from Two Medicine Chalet in Glacier National Park. This was FDR’s first visit to Glacier, and its mountains, glaciers, lakes and trees prompted him to say that he wished he could stay for the rest of the summer. President Gerald Ford was already familiar with Yellowstone National Park when he visited in 1976; he had been a 23-year-old National Park Service ranger in 1936. 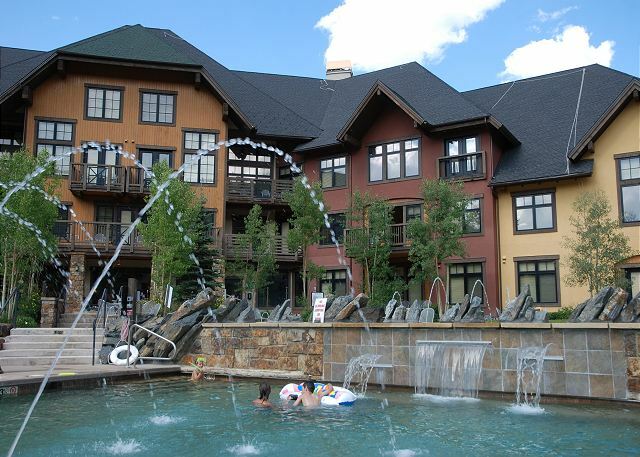 One of his duties was to meet and greet VIPs at the Canyon Lodge. He also protected other park rangers who fed bears at the bear-feeding truck, a popular visitor attraction at the time. Instead of staying in one of Yellowstone’s lodges, President Franklin Delano Roosevelt chose to stay at the private home of Harry Child, the owner of the Yellowstone Park Company, which operated the park lodges and other concessions. His reason: he did not want the general public to see him in his wheelchair. Designed by Robert C. Reamer, the same architect who designed the Old Faithful Inn, the large home is a single-floor prairie-style structure, so it can easily accommodate a wheelchair. The home is occupied today by the general manager of Xanterra Parks & Resorts’ Yellowstone National Park Lodges, operator of the lodges and other concessions in the park. Bill Clinton visited the Grand Canyon in 2000 and Yellowstone in 1995. President Clinton stayed in the Mary Colter Suite of the Grand Canyon’s El Tovar and had lunch at Yellowstone’s Old Faithful Inn. President Clinton and First Lady Hillary Rodham Clinton also took a stroll around Old Faithful Geyser. President Barack Obama visited both Grand Canyon and Yellowstone National Parks with his family in August 2009. National Park Service rangers accompanied the family to various viewpoints along the Grand Canyon’s South Rim and provided them with a brief overview of the park’s geology and human history. Xanterra’s executive chef in Yellowstone prepared the Obamas lunch in the Old Faithful Snow Lodge. Long before he became president, actor Ronald Reagan visited Death Valley in 1948 when it was still a national monument. Reagan was a regular host of the wildly popular “Death Valley Days.” Sponsored by 20 Mule Team Borax – which was appropriate because the discovery of borax was pivotal in the history of the region – “Death Valley Days” was originally a radio program and then also achieved stunning success as a television program, airing for 16 years before its final episode in 1968. Death Valley was designated a national park in 1994. Grand Canyon Railway has hosted numerous U.S. presidents before, during and after their terms. Those presidential passengers included Theodore Roosevelt in 1903, 1911 and 1912; William Howard Taft in 1909; Franklin Delano Roosevelt in 1940 and Dwight D. Eisenhower in 1950. In 1883, President Chester Arthur rode a horse from the southern to the northern entrance of Yellowstone and met supporters at the Mammoth Hot Springs Hotel entrance before departing the area aboard the newly completed Northern Pacific Railroad. Although it was still under construction and lacked a complete roof, President Arthur dined at the Mammoth Hot Springs Dining Room before his departure. President Barack Obama spent three nights at Maumee Bay State Park Lodge in October 2008, where he prepared for the final presidential debate with Senator John McCain. The northwestern Ohio lodge is situated on the shore of Lake Erie. Warren G. Harding enjoyed playing cards and visiting with close associates – sometimes called the “Ohio Gang” by newspaper reporters – in a cabin in Ohio’s Deer Creek State Park that was owned by his chief strategist and the U.S. Attorney General at the time, Harry M. Daugherty. The restored and furnished “Harding Cabin” is now available for rent and is particularly popular with small groups such as wedding parties. The cabin overlooks Deer Creek Lake and features sleeping accommodations for up to eight people, a full kitchen, laundry facilities, fireplace, private boat dock and screened-in porch overlooking the lake. President George Herbert Walker Bush visited both the Grand Canyon and Yellowstone. His visit to Yellowstone in 1989 occurred the summer after the historic Yellowstone fires. He was briefed by park officials about Yellowstone fire science. During his visit, President Jimmy Carter traveled to one of the islands on Yellowstone Lake to fish with National Park Service officials. After his presidency, Carter returned to the park and had pizza in the employee pub at Lake Lodge. He even signed the wall of the pub, and his signature is still visible today. President Warren Harding visited Yellowstone in 1923, shortly before he died. Staff in the park named a geyser after him and observed a moment of silence in his honor. Calvin Coolidge visited Yellowstone in 1927. Although Yellowstone Superintendent Horace Albright tried to engage President Coolidge in park-related politics, Coolidge was more interested in fishing than talking. Coolidge was also pivotal in granting funding for Mount Rushmore. In 1927, he visited Custer State Park in South Dakota’s Black Hills, not far from the site where sculptor Gutzon Borglum planned to carve the giant faces of Mount Rushmore. Borglum hired a plane to fly over the lodge where Coolidge was staying and dropped a wreath from the plane with an invitation for Coolidge to attend a dedication ceremony for the mountain. Coolidge not only agreed to attend, but following the ceremony, he promised federal funding for the project. The private dining room near the entrance to the El Tovar Dining Room in the Grand Canyon is called the Roosevelt Room. A fun but unsubstantiated story is that Theodore Roosevelt used to want a nice meal at El Tovar after a day of hiking in the Grand Canyon. But he didn’t want to clean up beforehand. El Tovar managers would discreetly steer Roosevelt to the private room where he could dine with friends without making other guests feel uncomfortable. The Roosevelt Room is still available for private dining parties today. In 1872, President Ulysses S. Grant signed the bill that designated Yellowstone the world’s first national park. It was a move that has been called the best idea America ever had. President Grant never visited Yellowstone.